Spring statement 2019: how does it impact designers? Chancellor Philip Hammond has announced help for small businesses, more technical courses and a funding boost for digital, tech and science in this year’s “mini-budget”, which comes amid Brexit confusion. As furore and uncertainty around the UK’s exit from the European Union (EU) continues to ensue, chancellor Philip Hammond has delivered his Spring statement for 2019. The Spring Statement is delivered every year and is considered a “mini-budget” that sits alongside the main Autumn Budget. Rather than going into detail on spending, it takes a more general look at where the Government is planning to spend its money over the next 12 months, and the sectors it will invest in. This year, Hammond’s speech has been shrouded by chaotic negotiations around Brexit, which reached a head this week when prime minister Theresa May’s exit deal was rejected for the second time. This led to a vote on a no-deal Brexit, which received a resounding no from members of parliament (MPs), and another vote on whether to extend the exit day beyond the expected date of 29 March 2019, which was approved. This is not legally binding, and by default the UK is still due to leave on 29 March. 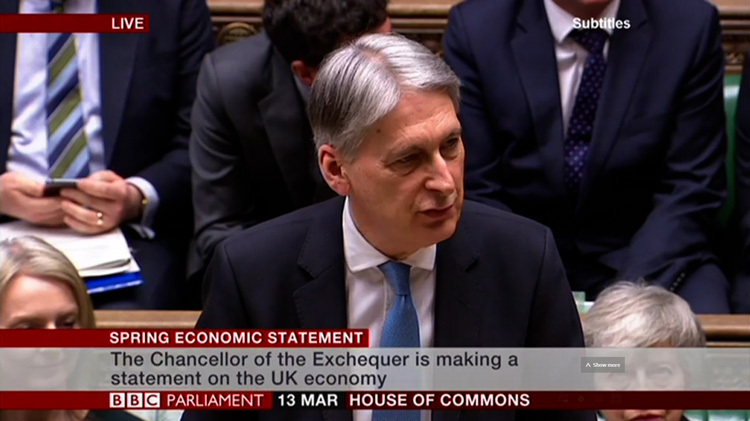 Hammond began his speech by stating the need for a “smooth and orderly exit from the EU” to ensure the country receives the “economic boost” it needs and pressed that the UK should avoid a no-deal at all costs. Despite Hammond stating that there are “other pressing matters” at hand, he went on to discuss areas that would receive funding, provided Brexit does not prove too turbulent. The chancellor has confirmed he will take steps to protect small businesses through cracking down on late payments made to them for services. 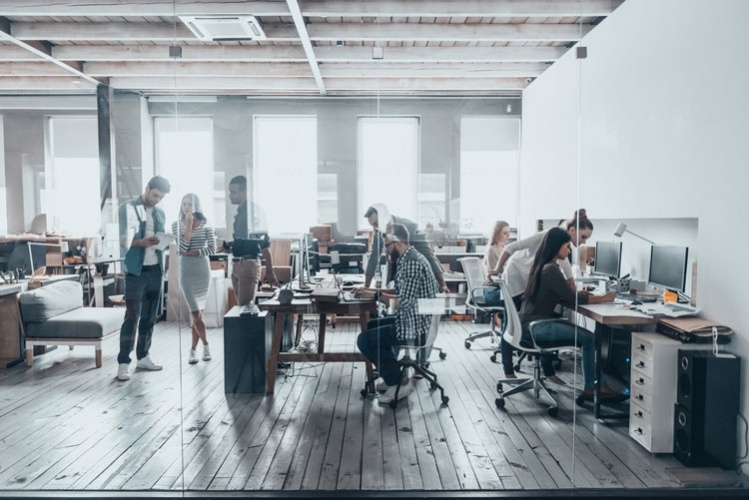 Given that a large proportion of the design industry is made up of SMEs (small and medium-sized enterprises), sole traders and freelancers, this could help to improve workflow and business prospects. Hammond says that it will be a new requirement for companies – design studios’ clients – audit committees, which assess financial matters, to review the company’s payment practices and report on them in their annual accounts, in a bid to encourage good practice. Deborah Dawton, CEO at the Design Business Association (DBA), supports this decision and says that “cash flow is king” for small creative businesses. “Late payments can affect payroll, credit terms, interest rates and, in some cases, the very survival of a business,” she says. She adds that the DBA will be asking members in this annual survey about this issue from now on, to help discover the extent of the problem and assess how government policy is making an impact over the coming years. The chancellor is pushing for more technical and vocational courses, which could be an alternative to college or university and could help up-skill those who are currently unemployed or underemployed. He has confirmed that he will roll out T-levels in September 2020, which will be two-year-long courses resulting in a qualification equivalent to three A-levels, run in collaboration with businesses. They will include an industry placement to provide “on-the-job” experience and look to help people either get into further education or employment. The courses aim to fill skill gaps, and look at disciplines including accountancy, building services engineering, education, finance, health and manufacturing. There will also be T-levels aimed at craft and design, development, digital production and digital design. Designers reacted to the announcement of technical courses last year, with some praising the decision to provide “young creative brains” with more “choice”, while others welcomed the move but questioned whether creative businesses, which are mostly SMEs (small and medium-sized enterprises), realistically have the resources to provide work placements. Other initiatives announced include: a national retraining scheme, which looks to “upskill workers” and will include a careers guidance service, courses, and online learning focused on skills needed for “jobs of the future” such as coding and digital; and three million new apprenticeships in partnership with 2,000 businesses. 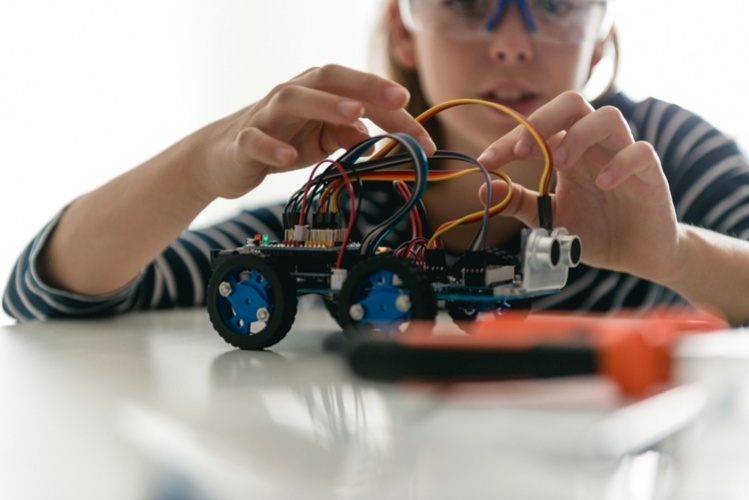 Jack Tindale, policy manager of design and innovation at think-tank Policy Connect, says that while steps towards technical upskilling are “welcome”, the Government’s focus on STEM (science, technology, engineering and maths) undermines the impact of the creative industries. He adds that there should be more of a focus on multi-disciplinary courses teaching different skillsets. Sarah Weir, CEO at the Design Council, adds that Government must consider design skills in tackling the UK’s “productivity problem” around employment. The Design Council’s Design Economy 2018 report found that designers were 29% more productivein terms of profits made compared to the average worker. The chancellor has committed to keeping the UK at the “forefront of the technology revolution”, so is making international students taking postgraduate doctoral degrees (PhDs) exempt from visa caps, meaning they have limitless access to visas to study in the UK. Tindale comments that this exemption should be extended to all international students, rather than only those taking PhDs, which would bring a wider pool of talent into the UK, given that many creative professionals only study to undergraduate or master’s level. “As long as the UK’s art and design schools are unable to recruit the brightest and best candidates from around the world, they will continue to lose out to institutions in Canada, Australia and elsewhere,” he says. 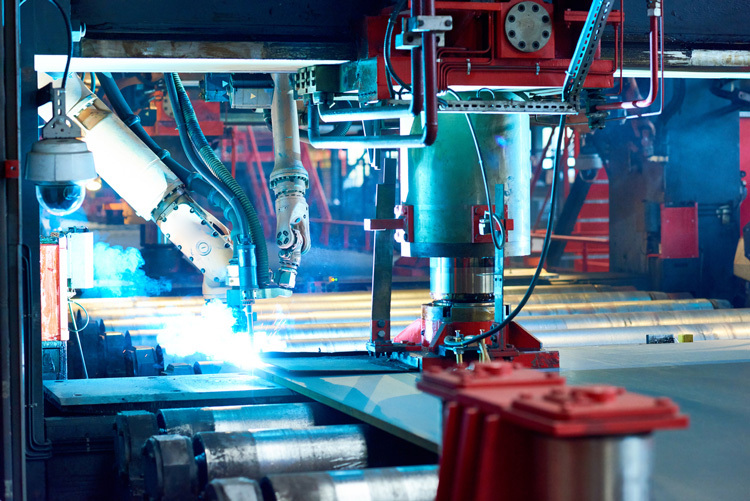 Hammond has also announced that, as part of the industrial strategy, the Government is investing £7bn in science and innovation, including £81 million towards a new Extreme Photonics Centre in Oxford, that will look at developing new types of lasers, which could impact those working in areas such as three-dimensional (3D) printing, product and industrial design. Other funds include £79 million towards a new supercomputer, and £45 million towards genomics – genes and DNA – research. Tindale says again that the Government should be focusing on long-term multi-disciplinary strategy, rather than “individual programmes”, adding that encompassing different fields into improvement plans would help to lead the “British economy on a more stable, inclusive and innovative path”. The chancellor also announced tougher regulation and higher taxes on big digital platforms, to help improve business competition in the sector, which is currently dominated by a few big players. Digital advertising is also likely to face harsher regulation by government department, the Competition and Markets Authority, which could impact and change the work of advertising, branding and graphic design studios working on projects for big clients. Finally, a new Future Homes Standard is being introduced — a set of guidelines that indicate how houses will generate energy in the future. The aim is for no more fossil-fuel heating systems to be installed in all new houses from 2025 onwards, which could create opportunities for socially-conscious companies and designers, which are working on creating sustainable energy-harnessing systems. This come alongside announcements to provide more housing, with plans to create a million new homes in the Oxford and Cambridge region by 2050. 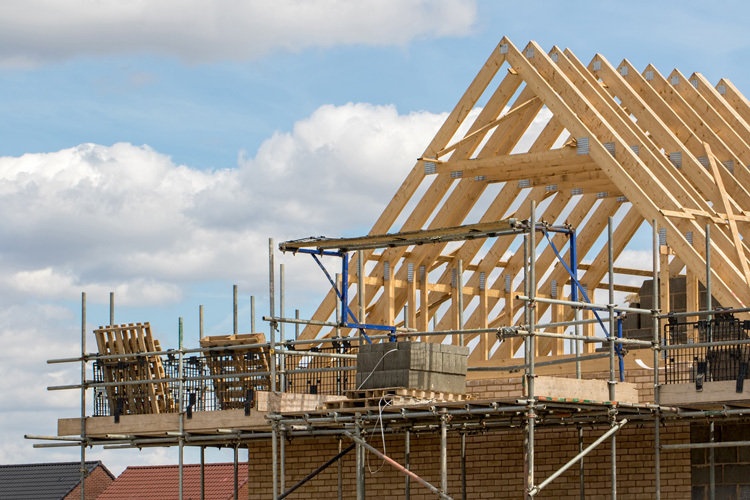 Weir says that the Government must focus on sustainability, and welcomes the Future Homes Standard, but is concerned that this law does not come into effect for another six years. “The effects of climate change are already evident across the UK and a more ambitious timeframe is possible and necessary,” she says. The Design Council published its Healthy Placemaking report last year alongside research group Social Change UK, which looks at how buildings can be made to be less polluting, more environmentally-friendly and be better for people’s health in general. https://wp.freedomofcreation.co.uk/dandev/wp-content/uploads/sites/101/2019/03/autumn-statement-2019-resized.jpg 421 750 sebmartin http://wp.freedomofcreation.co.uk/dandev/wp-content/uploads/sites/101/2016/06/foc-weblogo-2.png sebmartin2019-03-15 10:33:352019-03-18 10:33:54Spring statement 2019: how does it impact designers? London City Airport rebrands to reflect rise in leisure flyers Affinity Photo vs Photoshop: Should You Switch?